Before you can place an order you will need to apply for an MDL account. We always welcome new customers, so if you are a Bookstore/Wholesaler, Gift Trade, Educational Establishment, Consumer, Healthcare, or an Author and are interested in placing an order with MDL, please open an account by simply clicking on the “Open an Account” button below. 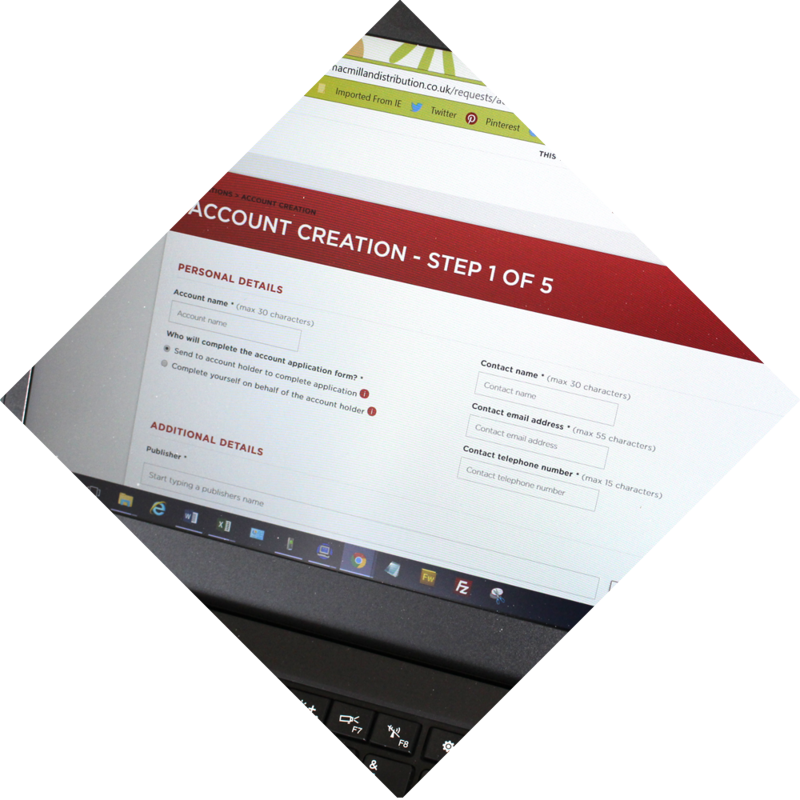 Follow the simple steps for an automated account application. There are helpful points and FAQ’s along the way to assist, or why not use our Live Chat if you have any queries. Once complete you will receive an acknowledgement of your request and when opened, a welcome email will follow with your account details and useful information. We recommend placing orders via Nielsen PubEasy or Batch (can be used for payment and returns). You can check price and availability, place orders and check order status on the Nielsen PubEasy website. To register for a free login go to www.pubeasy.com, click on the Register link and enter your contact details. Your secure account is setup and login information emailed to you within 48 hours. MDL will link your account to your Nielsen PubEasy PIN, enabling you to place orders and access your account details, check discount information and make order enquiries. MDL will link your account with Batch enabling you to view invoices and statements, make payments and request permission to return. Top customer service from MDL and all queries and concerns are resolved in a timely manner through great communication. Their friendly and personable approach makes it a joy to work with them on a daily basis.